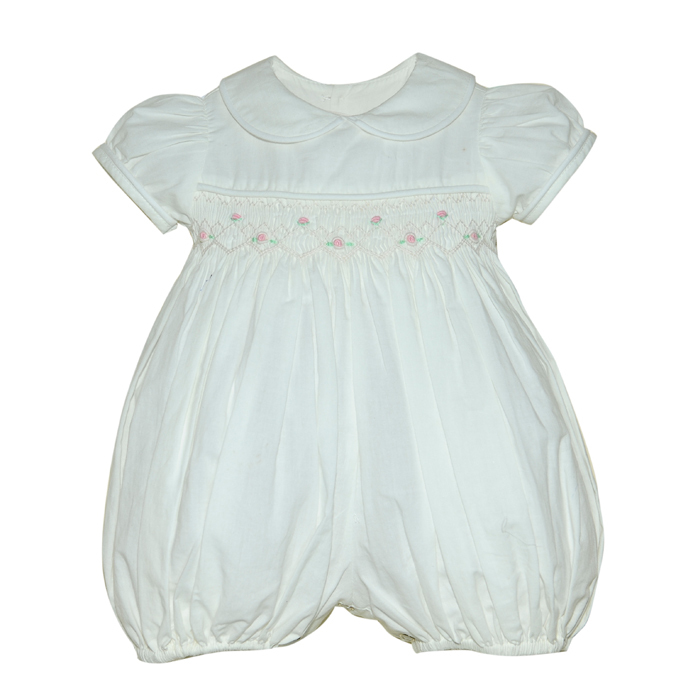 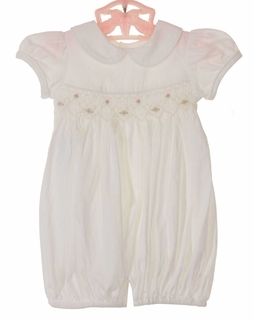 This adorable white soft cotton bubble is made by Remember Nguyen (Remember When), a leading manufacturer of classic children's clothing. 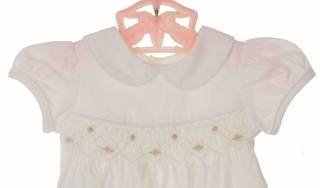 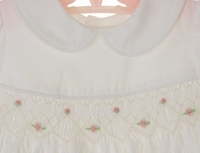 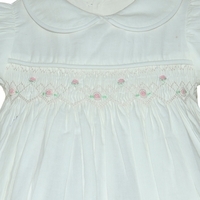 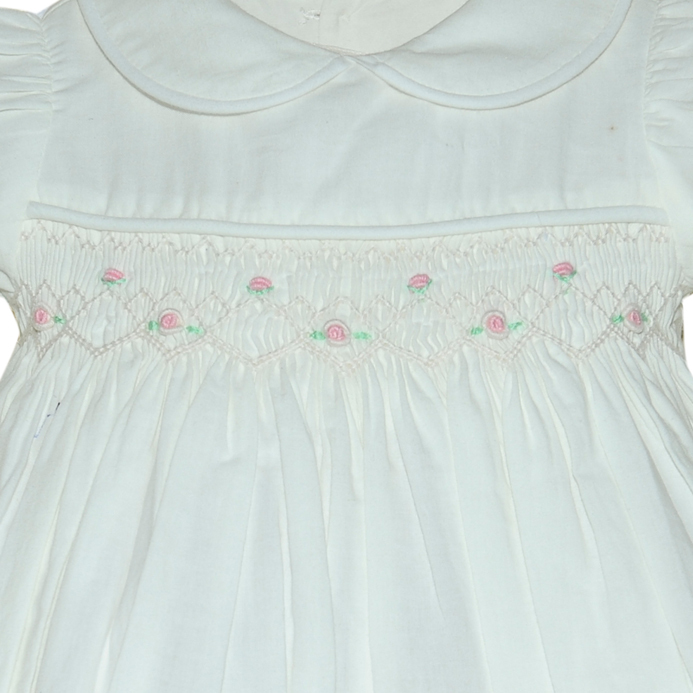 Perfect for bringing your new baby girl home from the hospital, the bubble has a smocked bodice embroidered with pink rosebuds. It has short puffed sleeves with a back buttoned closure and snaps in the crotch for easy changes.